IBM Content Navigator takes your business process to the next level and as a premier IBM Business Partner, we want to help you fully utilize this powerful tool not just in one department, but across your enterprise. Before any installation takes place, we conduct extensive preparation work. In fact, if done correctly, our prep work makes installation so easy that any user could to it. Our team is also flexible on installation methods. We can guide your IT team in installation or install the solution for you. Either way, we help you fill out the installation workbook and we provide documentation for you to install the solution in higher environments (e.g. UAT, Test, Production and Post-Production). Out-of-the-box ICN comes with many functionalities and features to enhance overall efficiency, but as we know, no organization runs and operates the same. Pyramid Solutions works with clients to understand their business objectives so they experience excellent ROI for ICN. Year after year we provide our clients with custom extensions and widgets. Pyramid eXpeditor for Content is a bundle of feature-rich plug-ins that extend the capabilities and functionalities of IBM Content Navigator including the fastest HTML5 document viewer on the market. 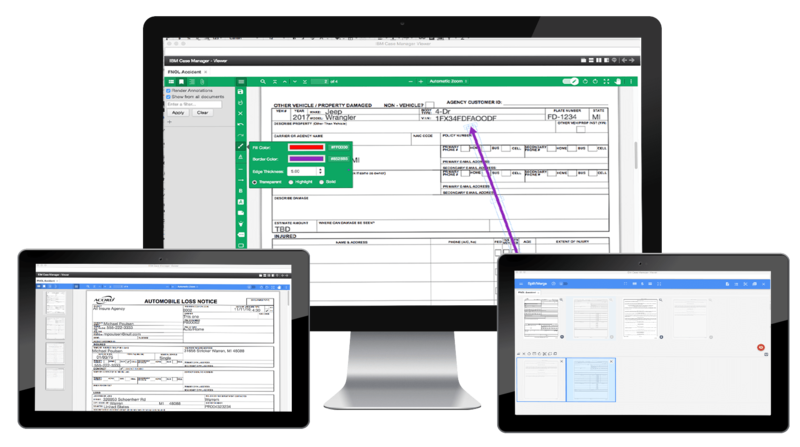 Pyramid eXpeditor for Content helps organizations find, view and characterize documents so they can complete work faster and more efficiently. Following installation, deployment and verification, the Pyramid Solutions Support Team is available to support, troubleshoot, maintain and update your Content Navigator system. Got an ICN project? Get it done right.